Ronnie Pascual exemplifies an Overseas Filipino Worker (OFW) who strives to improve his status in life. He was born in Tarlac City and there, he finished AB in Social Sciences and proceeded to Bachelor of Fine Arts, major in Advertising at the Tarlac State University. Like many of our “kababayans” (countrymen) looking for better opportunities, Ronnie left the country in 2006. Through an agency, he was able to go to Jubail, Saudi Arabia as a contracts assistant and moved to Qurum, Oman to work as an artist production officer. 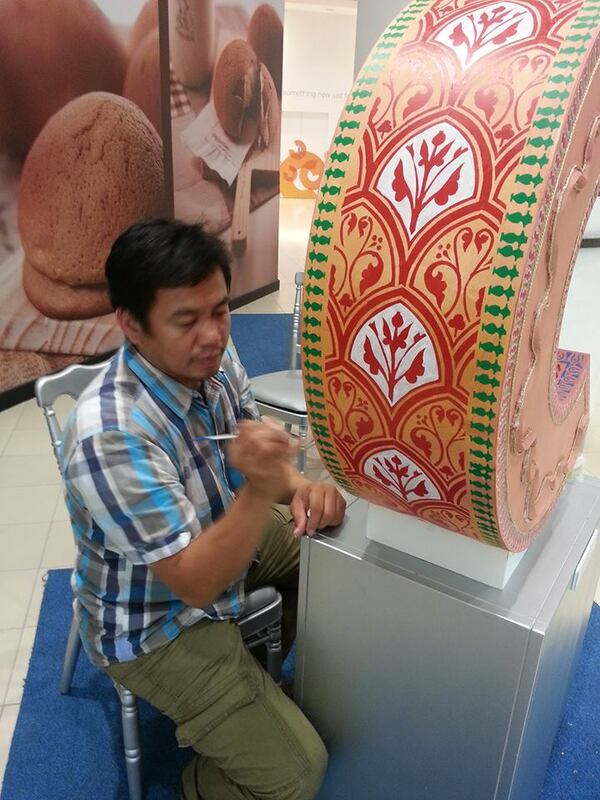 Then, he accepted an ideal opportunity to be an art instructor in Muscat, Oman. Ronnie is a passionate educator who rolls up his sleeves to facilitate art classes for children, youth and adults. He stores seasonal display conceptual design & installation, does layout design for advertising and lastly, visits schools for art demo exhibit of related art materials, supplies and resources. Ronnie is an experienced art teacher, happy to teach with a flair for creativity, team work, independence, resilience, with a background of student centered learning. To supplement his income, he dabbles in freelance work and accepts private artwork orders in sketching, drawings and paintings. He also does art and interior design consultation on the side as well. The artist enjoys his time by deepening his understanding of socially committed art by staying active in the Muscat art scene. He is currently working on artworks for a future solo art show. (April 2015) Muscat local artists have shown just how big their arts are with their generous donations to the “Sultan’s School Art Auction 2015,” which raised money for Dar Al Hannan, a home for children with cancer and their families. Out of the artist who contributed is Ronnie Pascual who sold two of his artworks (The Date Series and A Child’s Love & Memory of Her Mother) out of the support of the cause. Filipino Artist Ronnie Pascual at the IDF expo with Paragon Arts team. (February 2015) He partakes in one of Paragon Arts IDF Expo with the Paragon Arts team. Paragon Arts is a SCR initiative by highly diverse blend of talented artists, specialized tradesmen, businesses and artisans to aim and focus to encourage and promote a wide variety of arts in Oman. (November 2014) Two of his oil on canvas paintings was showcased in the “The 22nd Annual Arts Exhibition 2014,” a sidelight of the whole-day affair. They were presented to the “Omani Society of Fine Arts.” Many of the works are Oman inspired pieces showcasing the different painting, printing and sculpture techniques of some of Oman’s most influential artists to date artist paving the way for future generations of Omani artists to explore, build, install and create a lasting artistic legacy in the Sultanate. (October 2014) He also took part as one of the 35 selected artists who participated and shared each other’s creativity with the initiative of City Centre Muscat & Qurum in cooperation with the Omani Society for Fine Arts. In celebration of the “44th National Day of Oman,” 44 ‘C’ sculptures was placed in key areas in City Centre Muscat and City Centre Qurum, and used as blank canvases for invited artists to transform into wondrous masterpieces. (December 2013) Filipino expats living in Oman responded to the Typhoon Yolanda calamities that ravaged the Visayan islands leaving thousands homeless and helpless. 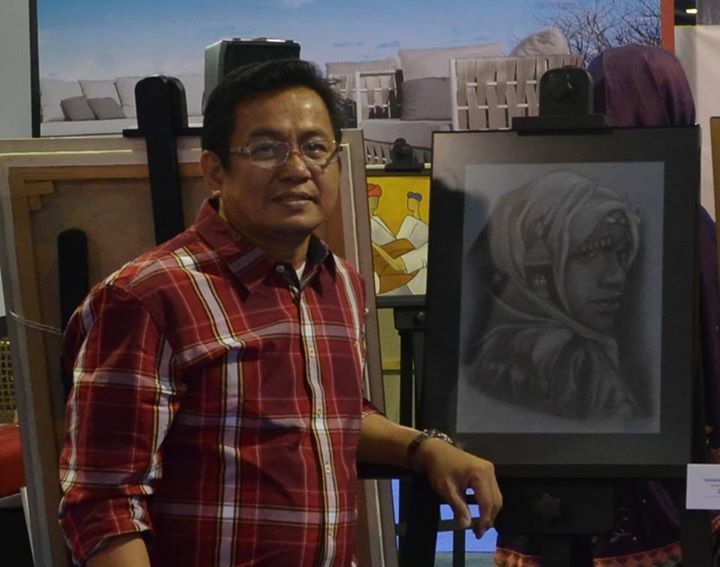 Ronnie donated 3 paintings during an organized exhibit for Typhoon Yolanda victims. Besides a painter and art instructor, he is also a writer and a poet by heart. Here is the poem he wrote his sentiments about Rebuild Visayas called Sama-Sama. 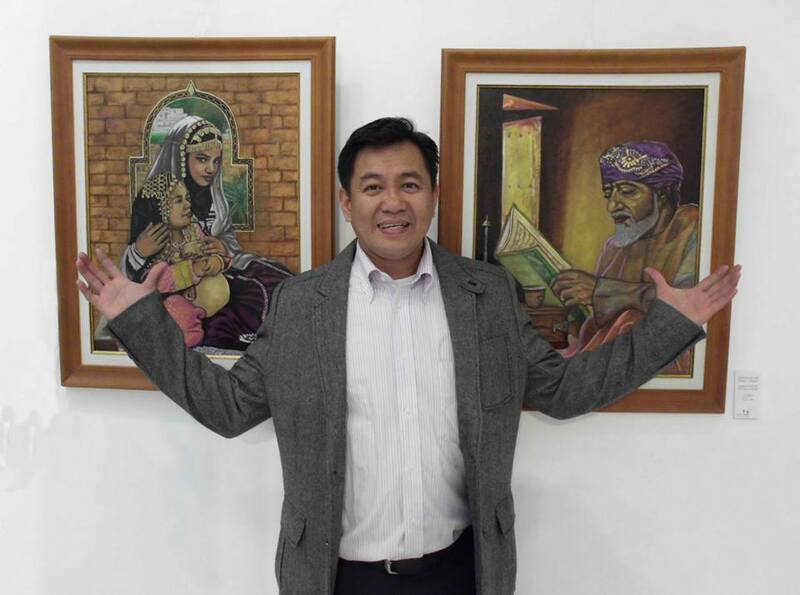 (September 2013) His artworks was exhibited at the BT Gallery in SABCO Commercial Center, Qurum. 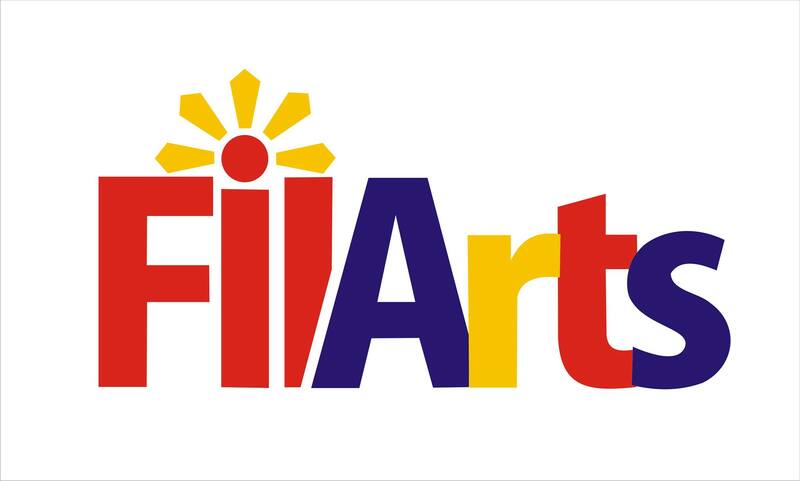 Filipino Artist Ronnie Pascual – Entry: September 2014 “ART of C” Competition for the 44th National Day of the Sultanate of Oman organized by City Centre Qurum & Muscat in cooperation with the Omani Society for Fine Arts. Filipino Artist Ronnie Pascual – Entry for Omani Society for Fine Arts “The 22nd Annual Arts Exhibition 2014” Title: The Joy & Beauty of Oman. Filipino Artist Ronnie Pascual – Entry for ARC Salon Competition January 2015 The essence of a competition, challenges you to be productive, creative and imaginative. Win or Lose… one has gained or developed something in the process. Congratulations to all the participants, finalists & winners. Filipino Artist Ronnie Pascual – In Honor and Respect for His Majesty Sultan Qaboos of the Sultanate of Oman. Filipino Artist Ronnie Pascual – Entry for Omani Society for Fine Arts “The 22nd Annual Arts Exhibition 2014” Title: In the Light of Holy Qur’an. Artwork by Filipino Ronnie Pascual Based on Tesseera Sared Al Barram’s Photo. Filipino Artist Ronnie Pascual – Portraits, Sketches, Drawings and Paintings. Learning Never Stops. Filipino Artist Ronnie Pascual – materials and tools used charcoal and pastel on gray-toned paper.